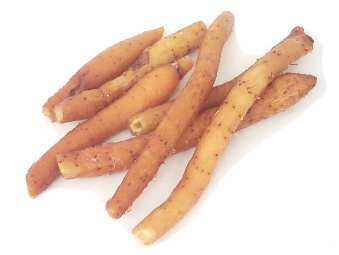 Rhizomes are knobby underground stems that have pungent and flavorful flesh. 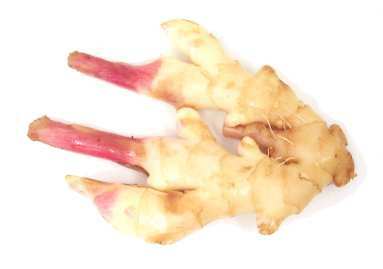 Ginger is the most familiar example, other rhizomes include turmeric, galangal, lesser galangal, and fingerroot. baby ginger See green ginger. fresh ginger See ginger root. 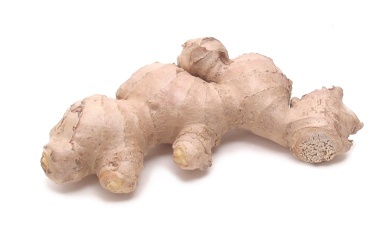 kencur root See lesser galangal. kentjur root See lesser galangal. 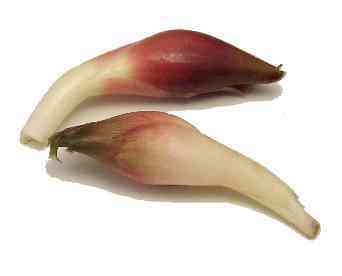 kra chai = krachai See fingerroot. laos (root or ginger) See galangal. lesser galangale See lesser galangal. new ginger See green ginger. pink ginger See green ginger. spring ginger See green ginger. stem ginger See green ginger. 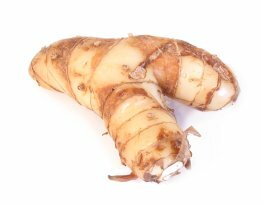 turmeric = fresh turmeric = Indian ginger = yellow ginger = mango ginger Pronunciation: TUR-muhr-ik Shopping hints: Turmeric has a pungent flavor, but it's more widely known for it's brilliant yellow color. 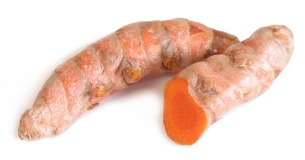 You can find fresh roots in Southeast Asian and Indian markets, but dried ground turmeric is far more commonly used. Be careful when handling fresh turmeric--it can stain your hands and clothes. Equivalents: 1 piece fresh turmeric = 1 teaspoon powdered turmeric. Substitutes: ground turmeric OR saffron (much more expensive, and more flavorful) OR Steep annatto seeds in boiling water for 20 minutes, then discard the seeds. young ginger See green ginger.